Sufficient amount of blood is very important to keep your body healthy and fit. If the amount of your blood is low and you are likely to suffer from anemia, there are some healthy foods that can increase the amount of red blood cells and make your body back to health. Bit is a good food source for vitamin A and vitamin C. Both of these vitamins can increase the amount of your red blood cell. Green leafy vegetables such as spinach, water spinach, and celery proven to increase your red blood cells. Not only good for the health of the blood, these vegetables are also good for weight control and maintain a healthy digestive system. Iron is an essential mineral needed by the body. Iron is not only able to make your bones become stronger but also expedite the supply of oxygen to the circulatory system. Iron deficiency can lead to anemia. Examples of foods that contain iron include red meat, potatoes, raisins, and oysters. These beans are rich in iron that works to improve the health of your red blood cells. Eating 1 ounce of almonds per day to fulfill the needs of your daily iron. The patients with anemia are advised to eat fruit every day. Because not only nutritious, fruits also effective to increase the amount of blood in your body. Consumption of apricots, watermelon, apples, grapes, and raisins to increase the blood flow in your body. So, rather than you consume chemical medications to improve blood health, you should eat healthy foods for the health of the blood in your body. Vegetarian Diets Were Able to Overcome Hypertension! 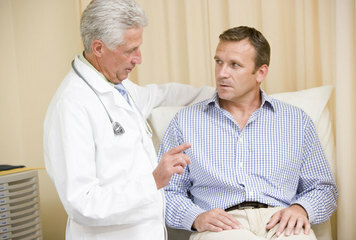 Hypertension is a disease which is certainly not unfamiliar to many people. Often, people who have high blood pressure should limit foods consumed so as not to cause a surge in blood pressure. However, a recent study from Japan revealed that one type of diet is also known potent to lowering blood pressure. After making observations of the 39 studies of 22,000 people, researchers found that vegetarians have lower blood pressure two times than those who eat meat. In addition, they also found that vegetarian diets can reduce the risk of blood pressure up to 9% and the risk of stroke by 14 %. Researchers from the National Cerebral and Cardiovascular Center in Osaka, Yoko Yokoyama, explaining that a vegetarian diet of any kind, whether it is more focused on vegetables, grains, nuts, fruit, or grain, as well as the diet allows the consumption of dairy products, fish, and eggs, can be used to lower blood pressure. The important thing is not to eat meat, in other words become a vegetarian. Unfortunately, this study did not show any nutrition from vegetarian diets that cause the difference in the effect on blood pressure in people who eat meat. In addition, because of this small-scale study, it seems that further research is needed to clarify the effects of vegetarian diets on high blood pressure. This Food Can Prevent Stroke Symptoms!!! Healthy food is not only good for weight loss only. However you can get many health benefits of consuming these foods. Eating healthy foods is able to have long-term benefits that can help you to avoid chronic diseases such as heart problems and stroke. Eating nuts good for your health, especially your heart and brain health. Because nuts are rich in B vitamins folate, or also known as folic acid. A study showed that foods rich in folic acid can reduce the risk of stroke by 20%. Antioxidants can help reduce the inflammation and plaque in your arteries. 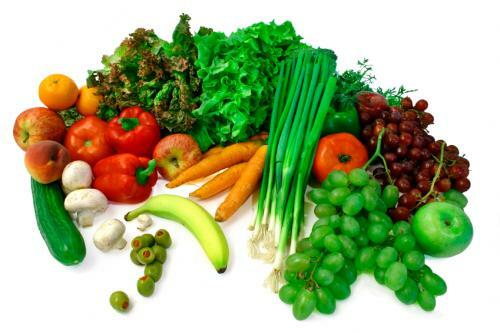 Antioxidants are also known to dilate blood vessels thus increasing blood flow to your heart. 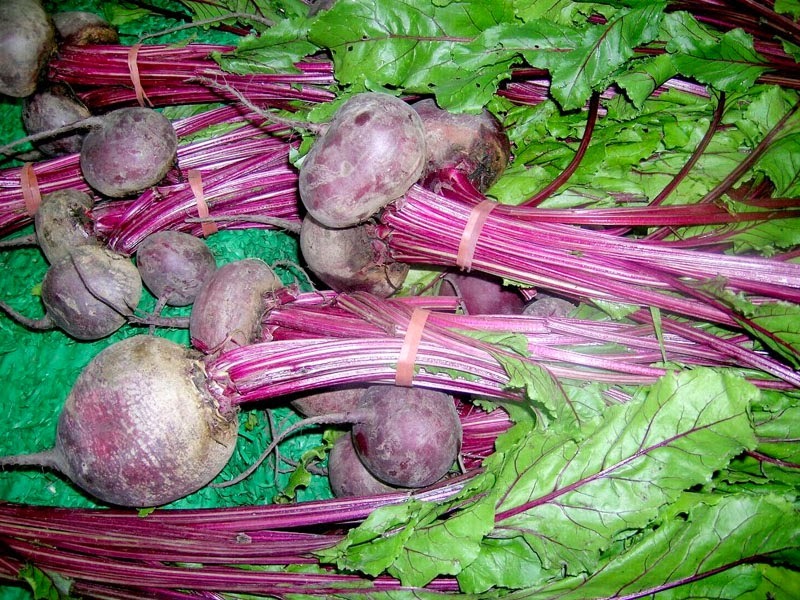 Fruits and vegetables are examples of foods rich in antioxidants. Ideally, the human should eat a lot of fish rather than red meat. Fish, especially tuna and salmon are good sources of omega 3 fats. These substances can increase blood flow and reduce the blood clotting. Eating fish can reduce the risk of stroke by 27%. The study showed that people who often eat foods rich in potassium will have a reduced risk of stroke by 28%. Bananas, potatoes, prunes, and currants are some examples of foods high in potassium. Besides eating foods that rich in potassium, make sure you also eat lots of foods that high in magnesium. Because magnesium can reduce the risk of stroke by up to 30%. Foods such as wheat and corn are good sources of magnesium. Breakfast with Full of Protein Can Control Your Lunch!!! A recent study found that the breakfast menu is rich in protein will increase your appetite properly and be able to control glucose levels in the blood. 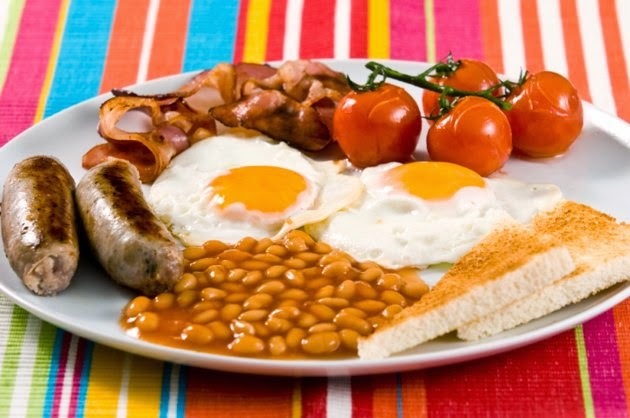 Furthermore, this study compared the results of the study among people who ate breakfast menu with a menu that is generally less protein and those who ate breakfast menu with a full menu of protein such as eggs, meat, and milk. As a result, they can control their hunger and easier to control calorie intake at lunch. A nutritionist from Hillshire Brands, Dr. Kristin Harris, saying that protein is one of the essential nutrients for the body. And as a consumer, you need to know about how much protein intake you need, so you will get maximum benefit of the protein, such as to control your hunger. He also suggested that switch to consume breakfast menu such as bread or rice, try to consume meat, eggs, or nuts as a breakfast menu. Eat Bananas, Lose or Increase Your Weight? During this time, a banana is considered as one type of food that should be consumed if you want to gain weight. But sometimes, bananas be recommended for those who are dieting and want to lose weight. So how exactly are the benefits of bananas? If you only eat bananas without eating other foods, then you will lose weight. But if you eat regular meals, and eat bananas 8 to 10 each days, the possibility of weight gain will increase. Bananas can help you lose weight. 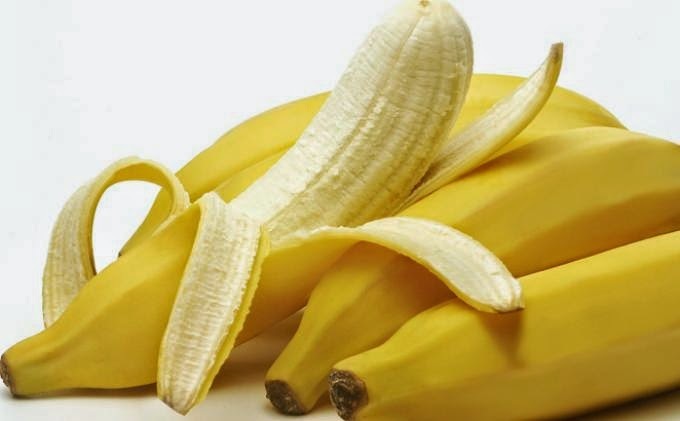 One banana contains 108 calories which is almost equal to 17.5 grams of carbohydrates. Our body needs carbohydrates to function optimally. But too many carbohydrates will cause weight gain. In addition, bananas also contain lots of fiber, vitamins, and minerals. Bananas also contain pectin which makes you feel full longer. For that reason, bananas are also very ideal to be consumed when on a diet. Not only that, bananas also have a low glycemic index that helps you lose weight. Eating bananas will help control blood sugar levels. The study revealed that bananas are very suitable for consumption when dieting. During this time, a banana is also recommended for those who want to increase the weight. Bananas are full of calories can be a help to increase the weight. It is best to use a banana that made a milkshake. Not only helps increase the weight, bananas also contain manganese which is good for the digestive system and prevent bone disease. 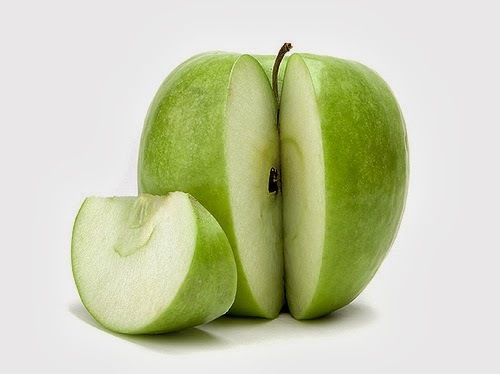 Apple is a fruit that is rich in health benefits for the body. In fact, there is a phrase which states that "an apple a day keeps the doctor away". This expression mean that eating an apple per day can prevent you from various diseases attack. However, not only that the benefits of the apple. Eating 2 apples a day is able to keep you from stroke. Even this risk will drop to 11% by eating 200 grams of fiber each day. according to the authors of a study from the Hospital of Qingdao China, Dr. Yan Qu, apple is a fruit that is rich in fiber, micronutrients and macronutrients. All three of these natural substances will lower the level of bad cholesterol in the body are capable of causing disease stroke. Stroke is a disease that can cause disability. Eat plenty of fruits and vegetables including apples can lower your blood pressure, body mass index, as well as the bad cholesterol causes a stroke. Therefore, don't hesitate to eat 2 apples a day to keep the body healthy always. Cherry is one member of the berries family. Because of its small, cherry fruit is often overlooked because it does not have health benefits. In fact, because cherries are often used as a decoration cakes, the fruit is also often abandoned. However, a study says that cherry juice can reduce insomnia and very good to eat before exercising. In addition to those benefits, this is another benefit of consuming cherries for health. Cherries can reduce blood pressure as potassium content in it. Potassium will also eliminate excess sodium in the body. When the amount of potassium and sodium balance, so you can avoid hypertension. 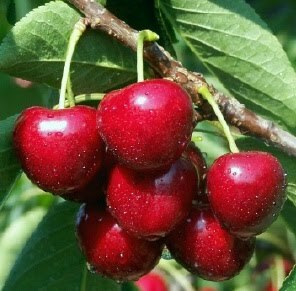 cherry is a storehouse of pectin or soluble fiber which can prevent heart disease by cholesterol. Cherries also contain powerful antioxidants that are beneficial to prevent cancer. A study conducted at Michigan State University showed that if you have arthritis and chronic headache, eat a bowl of cherries. Eating cherries can also reduce uric acid in the blood that causes the pain and swelling of arthritis. Although cherry fruit is small, it brings many benefits to the health of your body. Good luck! Perfect appearance are things that you should keep. Starting from head to toe, you have to maintain the cleanliness and appearance. One thing that you should look is your fresh breath. There are 2 main things that cause bad breath. First, your digestive condition, while the second is your oral hygiene. In addition you should brush your teeth and flossing, eating healthy foods is also a good drive out bad breath. Chewing mint is the easiest way to eliminate bad breath. Besides being able to clear the bacteria, mint is also good for removing plaque and tartar cause cavities. Fresh breath can increase your confidence level. Therefore, a simple way of doing the above in order to keep your breath fresh. Parsley, rosemary, cilantro are some effective herbs to eliminate bad breath. Because the leaves contain natural herbs and chlorophyll is good for cleaning the bacteria that cause bad breath. In addition to chew it directly, you can brew the leaves with warm water and drink it as a medicine from the body. Besides yogurt good for improving digestive health, a tablespoon of yogurt are also good for reducing unpleasant mouth odor. A study conducted by the American Dietetic Association says that yogurt is proven to reduce odor-causing hydrogen sulfide in the mouth. Chew an apple a day is not only good for your health quality improvement. But apples are also good for reducing bad breath. Because when you're chewing an apple, then going on increasing the production of saliva, which can clear the bacteria that cause bad breath. Ginger is known as a good herbal medicine to treat stomach ache and some other types of throat infections. 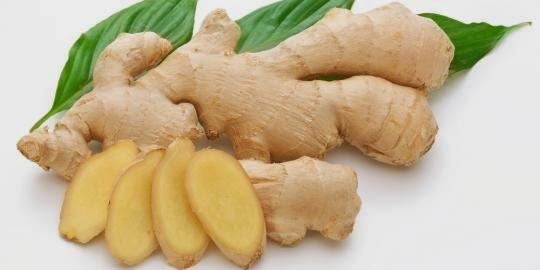 However, ginger can also drive out your bad breath problem. All you have to do is mix the minced fresh ginger, lemon, and warm water. After that you can drink it. This drink is good for preventing bad breath out of the body. According to MSN.com, green tea can prevent bad breath. Because flavonoid content in it is able to eliminate harmful bacteria from sticking to teeth causes bad breath. Mineral water brings many positive benefits for the health of your body. In general, water is able to function as a cleaning fluid and encourage the production of saliva, which will eliminate bacteria and other impurities that cause bad breath. 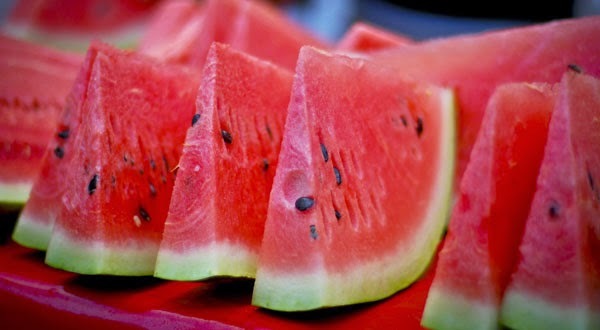 Watermelon is known as a refreshing fruit and can prevent dehydration. However, besides containing a lot of water, it is also has other benefits, especially in people who are overweight. A recent study revealed that eating watermelon could prevent heart attacks in people who are overweight or obese. Other than that, the fruit is also known to lower blood pressure in obese people, even when they are in cold weather. There are many people who have heart attacks in cold weather because the body raising the blood pressure in order to warm the body. In people who are overweight, the heart will pump blood harder, so that it can increase the risk of heart attack. However, this study revealed that eating watermelon could prevent it all, either by lowering blood pressure and reduce heart attacks or strokes. The pressure in the aorta and the heart decreases when someone is eating watermelon extract. These results were obtained after the researchers conducted a study of 13 obese men and women who have high blood pressure for 12 weeks, as reported by the Daily Mail (03/04). Half of them were asked to consume watermelon extract while half were given a placebo. The results of the study stated that watermelon can lower blood pressure and pressure on the heart even in cold conditions. By doing so, the participants also had a lower risk for a heart attack after eating watermelon extract. In addition to this study, previous studies have also found that doing exercises in warm water can also reduce blood pressure. Even so, researchers are not sure what caused the warm water can lower blood pressure. Possibly because warm air can expedite the flow of blood throughout the body. Apple is a fruit that is very popular all over the world and almost everyone loved it. Apples also have a myriad of health benefits for the body, even there is a saying mention that 'an apple a day, keeps the doctor away'. The intent of this phrase is, if you eat an apple a day, then your health will be guaranteed and prevent your body from many health problems. Apple juice contains natural glucose, so it can provide an injection of energy in your body. The content of anthocyanin phytochemicals in the apple juice is able to inhibit the growth of tumors and cancer cells in the breast. Apple juice is a beverage that is suitable for drinking in the heat. This drink can also hydrate your body because it contains a fairly high water content. 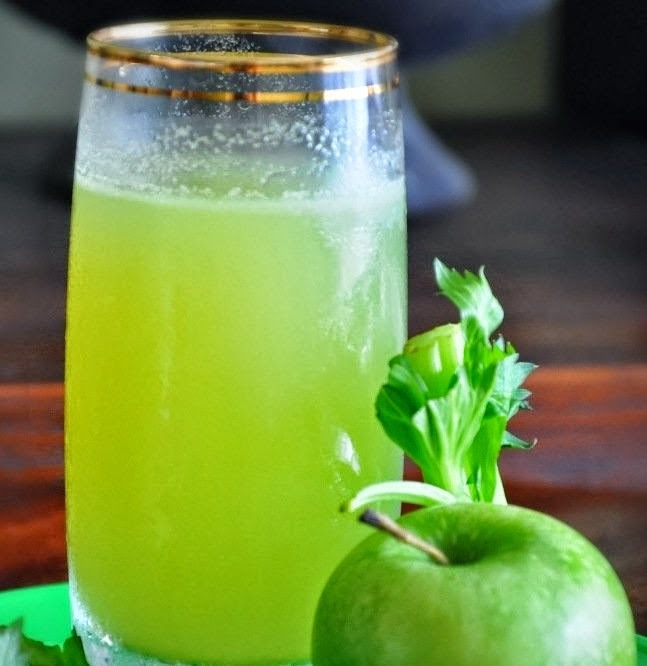 Drinking apple juice regularly able to get rid of toxins in the body because the content of potassium in it. Your liver health can be maintained. Drinking apple juice on a regular basis can also treat digestive disorders like constipation. This is because apple juice is rich in fiber which is good for healthy digestion and reduces constipation. If you're looking to lose weight, the best way to get rid of fat in your body is to drink apple juice. In addition to containing high fiber, apple juice is also rich in water so as to make your stomach is always full.